The Library is open to all who have valid CUB ID card which must be shown at the entrance of reading room, if required. Silence is strictly maintained as study zone. Users’ behavior should reflect this and they should respect the needs of others. The consumption of foods and drinks are not permitted in the library. Personal possessions should not be allowed in the library, except exercise book (khata), pen, geometry box and calculator. Mobile phones must be kept silent inside the library. Library users are expected to follow CUB code of conduct. Any misconduct with the officials, interference with study environment, and damage to any property will lead to expulsion from the library /library membership and shall compensate the University for any Damage caused. Library member can use personal book by the permission of Circulation desk. CUB ID cards stand as library card for borrowing library resources. Faculty Members are entitled to borrow five (5) books at a time for a period of one (1) month. Student may borrow two (2) books at a time for a maximum period seven (7) days. 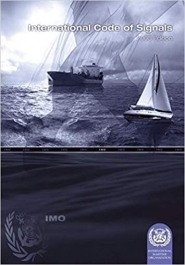 Reference book/ journal/ magazine/ newspaper/ dissertation/ report and confined materials are not offered for loan. Circulation services start 15 minutes after the library open and close 15 minutes before the library closes. 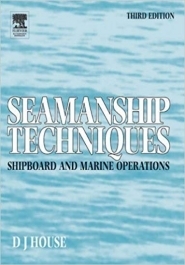 1340 Seamanship Techniques: Shipboard and Marine Operations House, D.J. Internet Facility: Apart from the computer lab, CUB provide internet services through WIFI connection. Reading Room Facilities: CUB Library maintain a reading room which is silent study area, group study area and teachers’ corner whereas the total seating capacity is about 50. Reference Service: Reference materials (Encyclopedias, Dictionaries, Newspapers, Journals, Magazines, Reports, Theses, etc.) are for use inside the library; they cannot be issued out. Photocopy Service: The library provides photocopy facilities of library resources to the users if it is permitted under the national and international copyright laws, rules and regulations. Pigeon Hole Service: Library users can use pigeon hole for their personal belongings. Library users are advised to deposit their personal possessions like, books, files, bags, briefcases, umbrellas, overcoat, jackets, newspapers, helmets etc. to the pigeon hole counter before entering the library. After deposit personal possessions you will have to collect a number token and when you will collect your personal possessions you have to submit the number token. If you lost the number token Tk. 100.00 (One Hundred) will be charged as fine for each number token. Valuables like laptop, cash, camera, Wrist-watch, cell phone, jewelry etc. are not allowed to deposit in the facility. The university will not be responsible for valuables. The library has no accountability in case of damage or theft of personal belongings left unattended inside/outside the library. Library Staff will not be responsible for safety of deposited materials that are not collected on the same day. the library is currently located on Floor # 10, AWR Tower, Canadian University of Bangladesh. After the expiry of due date for each item borrowed, Tk. 10.00 per day will be charged as fine (including weekends and holydays). Borrower will be responsible for the compensation of lost item which included full price plus 10% penalty or the same copy of reading items and accumulated fines for the period. The calculation for the compensation will be done by the library authority. A fine of Tk.2000 plus current price of the book would be charged for any theft of the library material. Students will need to get clearance from library prior to receive transcript /certificate. 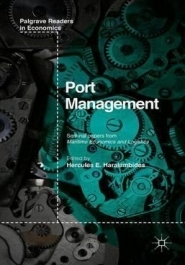 Book(s) must be return on / before due date to avoid fines. University authority reserves every right to make any changes/ amendment of the above – mentioned rules when necessary.